28 years later, 1990’s The Hunt For Red October probably remains the most popular of the films based on Tom Clancy’s Jack Ryan character. Set in 1984, we meet Ryan (Alec Baldwin), a bookish analyst for the CIA. After he checks out some surveillance pictures of a new Soviet sub, Ryan meets with his boss, Admiral Greer (James Earl Jones). He sees some suspicious doors and wants to find out what’s up with this new model. In the meantime, we learn of the sub in question, the Red October, and its commander, Captain Marko Ramius (Sean Connery). As Ramius takes the crew on their maiden voyage, we discover he has an ulterior motive. Ramius kills the Soviet political officer Putin (Peter Firth) but makes it look like an accident. 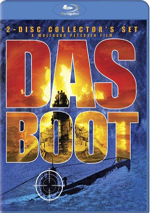 This puts Ramius in total control of the sub – and its nuclear missiles - as they head toward the US. Occurring simultaneously, we encounter the crew of the US sub Dallas. Seaman Jones (Courtney B. Vance) detects a mysterious blip and tracks it with the endorsement of his superior, Captain Mancuso (Scott Glenn). Matters become more intriguing when the blip disappears and Jones needs to figure out what’s up with this strange new craft. The story takes a turn for the dramatic when a Soviet official gets a letter from Ramius. We don’t learn the contents of this missive, but the Soviet ambassador to Washington (Joss Ackland) tells the president’s National Security Advisor Jeffrey Pelt (Richard Jordan) that Ramius wants to fire the sub’s nuclear missiles upon the US. Earlier, Pelt gave Ryan the lead in the investigation, since Jack knows the most about Ramius. Ryan firmly believes that Ramius intends to defect, but his higher-ups remain suspicious. The rest of the film follows the race between US and Soviet forces to intercept and deal with the Red October and also to figure out what’s up with its commander. In an odd way, the structuring of October resembles that of the previous year's Batman. The nominal antagonists of the films - Jack Nicholson's Joker and Sean Connery's Ramius - receive top billing and dominate the pictures, while their purported heroes almost seem like guest stars. Actually, the situation isn't as clear-cut with October if just because Ramius isn't really a villain, at least not in the classic sense. I still feel surprised at what a small role Baldwin's Jack Ryan seems to play in the movie, though. While he comes to the forefront at the climax, he almost appears like an afterthought much of the rest of the time. I think that impression stems mainly from the large roster of characters and the convoluted plotting more than anything else. Plus, when Connery's around, everyone else takes a back seat. That doesn’t imply Connery becomes a "film hog”. Instead, I mean that he provides such a dominating presence that he will almost automatically diminish the status of others. Baldwin holds his own at times, but he just doesn't have a whole lot to do until the end of the picture. Prior to the conclusion, he ends up seeming almost superfluous. Whatever the various nuances or inequities of the actors, October functions as a pretty entertaining and suspenseful little thriller. Strangely, although it moves slowly and barely seems to progress at times, it holds my interest easily and I rather enjoy the experience. There's not a whole lot of slam-bang action until the climax, but the tone remains tense and vibrant. Director John McTiernan doesn't match the intensity and fervor of his previous effort – 1988’s Die Hard - but he does well for himself in this stylistically distinctive piece. The Hunt for Red October appears in an aspect ratio of approximately 2.35:1 on this 4K UHD Disc. This wasn’t a great image but it was more than watchable. Sharpness generally seemed good, though ups and downs occurred. At best, the movie exhibited pretty solid clarity and accuracy. However, matters could seem a bit mushy at times, and some digital noise reduction sapped delineation as well. Much of the movie took place in dimly-lit interiors, and those created the most obvious “soft spots”. How much these stemmed from the source versus the transfer seems up for grabs, but I thought the image leaned less distinct than probably should have been the case. No issues with shimmer or jaggies materialized, and edge haloes remained absent. I also noticed no signs of print flaws. Given the subject matter, October usually went with a low-key palette that favored blues and grays. That didn’t leave the 4K UHD’s HDR capabilities much room to impress, but the hues seemed well-rendered within their subdued constraints. Blacks were fairly dark, while shadows seemed fine. Again, most of the movie came from murky settings, so some blandness resulted. Nonetheless, the low-light images were reasonably concise. This was an erratic image but it seemed acceptable. The Dolby TrueHD 5.1 soundfield showed a consistently positive sense of environment. The forward channels mildly dominated the piece, and they presented excellent delineation and separation. The front speakers remained in use through the majority of the movie, and they created a setting that was lively and realistic. Elements blended smoothly, and pieces moved cleanly across the channels. The surrounds appeared more active than I expected for a film of this era. They presented lots of excellent material for both quiet and loud sequences. In one early shot, whale sounds emanated convincingly from the right rear speaker, and the channels neatly communicated the sense of being underwater during the many sub shots. The action scenes brought the surrounds to life as well, and other segments – like one in a shipyard – used all five channels with great effectiveness. Overall, the soundfield worked well to create an immersive environment. Audio was also good. Speech seemed reasonably natural and concise, without notable problems. Music appeared vivid and dynamic and showed nice depth and punch. Effects seemed positive. They displayed no signs of distortion and they powered through the various scenes with great clarity and richness. Bass response was tight and distinctive throughout the movie, and the track gave my subwoofer more of a workout than I anticipated. Given the age of the material and the high caliber of all other elements, I felt October deserved an “A-“, as this was a strong auditory effort. How did the 4K UHD compare to the Blu-ray from 2008? Audio was identical, as both included the same TrueHD soundtrack. Visuals offered improvements, as the 4K UHD appeared better defined and cleaner It also boasted stronger blacks and it lacked the print flaws and edge haloes of the BD. While not a great presentation, the 4K definitely topped the lackluster Blu-ray. No extras appear on the 4K UHD itself, but the included Blu-ray copy provides some materials, and these start with an audio commentary from director John McTiernan, who providedsa running, screen-specific piece. McTiernan never seemed terribly at home with the format, and those concerns continue during his dull discussion of October. McTiernan covers a mix of topics, as he goes into changes from the book, casting, issues related to factual matters, different forms of research, storytelling concerns, and some technical matters related to effects, locations, and other areas. That quick synopsis might make the commentary sound more informative than it actually is. Frankly, McTiernan’s useful remarks occur awfully infrequently. Actually, any form of information crops up sporadically, as much of the track passes without discussion. The facts appear in dribs and drabs, and McTiernan often doesn’t explore them well. For example, at one point he mentions his original plan to cast an actor who physically resembled Joss Ackland to play against him in the part eventually garnered by Richard Jordan. Why didn’t this happen? I don’t know, for McTiernan lets the subject drop without additional explanation. The director offers periodic bits of decent information, but overall, this commentary seems fairly boring and slow-paced. In addition to the film’s trailer, we find a documentary called Beneath the Surface. This 29-minute program features the standard mix of movie clips, production materials, and interviews. 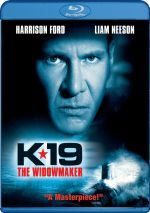 We get circa 2003 material with producer Mace Neufeld, director John McTiernan, actors Alec Baldwin, James Earl Jones, and Scott Glenn, screenwriter Larry Ferguson, director of photography Jan de Bont, ILM visual effects supervisor Scott Squires, ILM model shop manager Keith London, ILM chief model maker Kim Smith, ILM first assistant cameramen Bob Hill and Vance Piper, ILM directors of photography Marty Rosenberg, Patrick Sweeney, and Carl Miller, and ILM technical director Doug Smythe. In addition, Sean Connery appears via pieces shot in 1990. The participants start at the beginning and discuss the acquisition of the rights to Clancy’s novel and various adaptation issues. They then go into casting, research for the roles, and many technical topics related to the subs and other special effects concerns. “Surface” conveys the information well but lacks much flair. It includes a reasonable amount of material and certainly gives us more insight into the production than does McTiernan’s commentary, but it comes across as a little plodding at times. Still, at least it presents useful material, so October fans will want to give it a look. Though I didn’t think much of The Hunt For Red October when I first saw it in 1990, I must admit it’s slowly grown on me over the years. It crams in a lot of technical issues and conveys them concisely, and it builds to a rousing and involving climax. The 4K UHD gives us excellent audio along with generally good visuals and decent supplements. This didn’t become a visual show piece but it ended up as the best version of the film on the market. Note that as of August 2018, this 4K UHD version of The Hunt for Red October can only be purchased via a five-movie package. 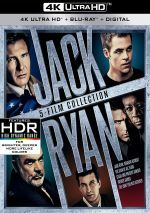 The “Jack Ryan Collection” also includes 4K UHD versions of Patriot Games, Clear and Present Danger, The Sum of All Fears and Jack Ryan: Shadow Recruit.